News-Register, a twice-weekly community newspaper serving the Yamhill Valley with publications that regularly draw state and national honors in newspaper competition. To learn more: www.newsregister.com. 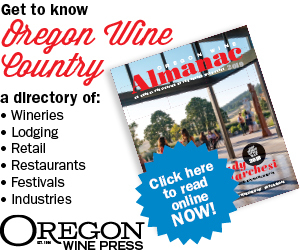 Oregon Lithoprint, the company’s web printing division, prints the News-Register and Oregon Wine Press among hundreds of publications printed for clients throughout the region. To learn more: www.oregonlitho.com. OnlineNorthwest, the Yamhill Valley’s largest Internet Service Provider, is an independent company sharing offices with the News-Register. OnlineNW provides Broadband Wireless Internet services to a five-county area in the North Willamette Valley. To learn more: www.onlinenw.com. Indulge - Explore and Experience McMinnville and the Yamhill Valley, the heart of Oregon Wine Country.